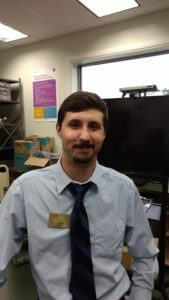 Chris Hefner is a valuable asset of the West Virginia Junior College-Bridgeport faculty. He is adored by many of our students, and works hard to keep his students engaged in classroom activities. In addition to being highly valuable to our staff, Chris is highly educated. Chris graduated from the Bridgeport campus of WVJC. He earned his associate degree in Information Technology in December of 2014. He also holds several certifications in his field. He understands the importance of continuing his education, and teaches his students the importance of this as well.